$25 3 TEAM NFL TURKEY PARLAY! 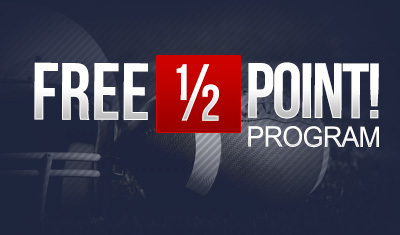 Additional to your Sign-Up bonus or your Reload bonus you will receive a 3 Team Turkey Parlay as free play. 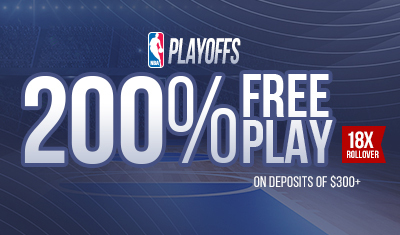 If it's a first time deposit it will be awarded along with your Sign-Up bonus. 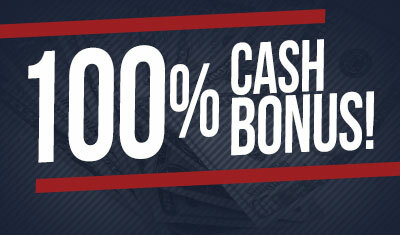 If you're already part of the Skybok family you will receive this promotion along with your Reload Bonus. Only 1 promotion per account/per household will be awarded. 3 Team Turkey Parlay winnings will be added to the same rollover of the promotion that you took along with this special. The $25 3 Team Turkey Parlay can only be used on the 3 NFL games scheduled for Thanksgiving Day. You must make one pick from each of these 3 games (spread or total of the full game),otherwise the wager will be voided. Money lines, first halves and/or half times are not allowed. 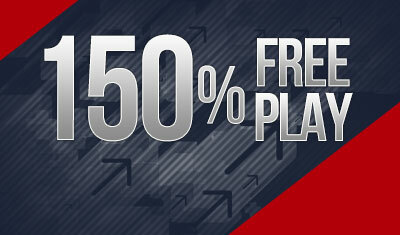 Standard free play rules apply.